Most people clean the front of the lens, but they forget to clean the rear element. Before you remove your lens, blow and wipe off around the back part of the lens. This will prevent loose dirt or dust from entering the camera. 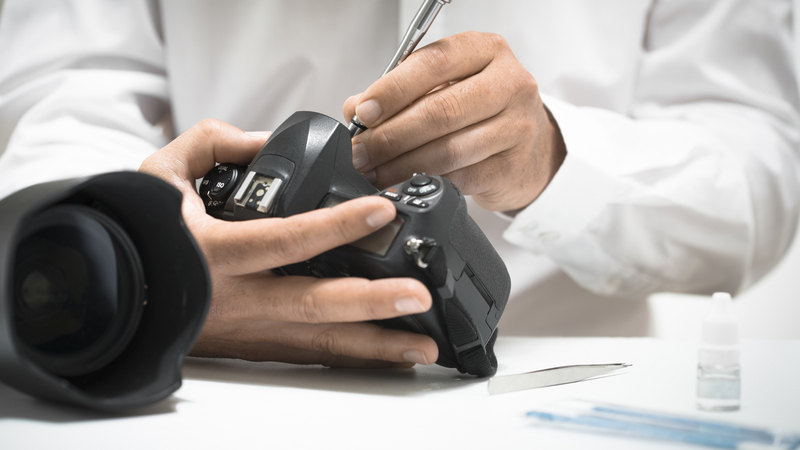 Inspect the rear element and clean it the same way you cleaned the front of the lens. Put the lens back on and take a test shot of a wall or the sky. If the dust spots are gone, you don’t need to clean the sensor.